"A Notable Idea has sheet music for everything. Except for his irritating practice of printing the key signatures only on the first line (as I guess some of the cool NY jazz guys do), the sheets are excellent." El domingo 24, un vuelo de LAN que venía a Tucumán tuvo una demora, y un grupo de músicos pertenecientes al grupo KBB (Klezfiesta Buenos Aires Band, orquesta recién creada que debutó en la 3er. edición de EMMKA /Klezfiesta) comenzó a tocar música klezmer. Los artistas regresaban a Buenos Aires luego de haber realizado un concierto klezmer en el teatro San Martín. Sin duda, le dieron vida al hall del aeropuerto como pocas veces se pudo ver. Don’t miss cutting edge conversations about Jewish culture as great performers such as Achinoam Nini (Noa), The Klezmatics, Joshua Nelson, Judy Gold, Rami Kleinstein and Keynote David Broza gather together for the 5th annual Schmooze 11 the International Jewish Presenters Association Jewish culture conference. in New York City on January 11 & 12, 2011 at City Winery. Schmooze 11:The 5th annual IJPA Schmooze Jewish Culture Conference is a South By Southwest must attend event for the Jewish arts and culture/entertainment community. 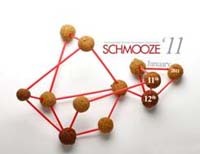 The Schmooze conference gathers leaders from cultural art centers, theater producers, agents, musicians, filmmakers, academics and others for two days of packed programming, stimulating panels, and dynamic debate on the 21st century Jewish cultural renaissance. This year we offer the first Cultural Luncheon, our IJPA fundraiser, featuring a pairing of 7 tastes of culture, with 7 of NY's top kosher chefs and 7 wines. We hope you can come join us for the festivities and, of course, the schmoozing. We are especially excited about the musical acts that have joined the bill for the nights of the conference. The first fifty people that sign up to attend the Schmooze conference will get a three-night pass to the Oyhoo Music Festival happening the nights of January 11th, and 12th with a bonus show on the 10th. 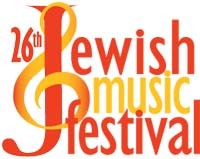 Keynotes include Debbie Friedman and shows will include Achinoam Nini "Noa" on January 10th, Good for the Jews & The Klezmatics with Joshua Nelson on January 11th, and Isramerica on January 12th. This year we offer the first Cultural Luncheon, our IJPA fundraiser, featuring a pairing of 7 tastes of culture, with 7 of NY's top kosher chefs and 7 wines. We hope you can come join us for the festivities and, of course, the schmoozing. We are especially excited about the musical acts that have joined the bill for the nights of the conference . The first fifty people that sign up to attend the Schmooze conference will get a three-night pass to the Oyhoo Music Festival happening the nights of January 11th, and 12th with a bonus show on the 10th. Shows will include Achinoam Nini "Noa" on January 10th, Good for the Jews & The Klezmatics with Joshua Nelson on January 11th, and Isramerica on January 12th. Cost is $150 per person for IJPA members, $225 for non-members. Price includes breakfast and buffet lunch on January 12th. Cultural Pairing Lunch is $65 a la carte or combined with registration for $195 for members and $275 for non-members. At the Schmooze conference we launching the next iteration of www.jewishpresenters.org, world's largest database of Jewish culture. 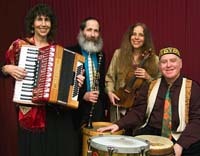 one of the organization's mandates has been to establish an online gathering location which could serve as a tool for communication and expansion of all of the individual presenters work, as well as an easy to utilize website to get the most comprehensive look at the artists and producers creating and performing Jewish culture from around the world. In the past few years, the organization has presenting organizations from a dozen countries and hundreds of artists and projects. The website has the potential to help expand the opportunities for both presenters and creators of Jewish Culture. 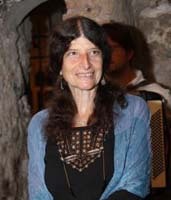 "It has been taken a long time and much our limited financial resources building the sophisticated architecture of the website—but I am confident with the release of the site and all the user-generated information, it will become a vital tool used by JCC's, synagogues, performing art centers, artists and producers as the go-to place for information.," said Michael Dorf, Chairman of IJPA and the conference founder. He adds, "We basically took Web 2.0 state-of-the-art code and built a website which combines modern music industry platforms, performing arts association sites, a touring sites and focused it on our little schetle of the entertainment world. " Check out the IJPA, a new organization for Jewish artists, presenters, presenting venues and supporters of Jewish culture. Are you an artist? A presenting venue? Looking for amazing Jewish talent to hire? We're here to help. The International Jewish Presenters Association (IJPA) is an extensive arts network that links presenters with artists and distributors by providing cutting-edge tools to share best practices and work economically. IJPA is membership supported. The good news? Membership rates are reasonable. For example, individual performers can join for as little as $50 and small presenting organizations can join for $100. Why should you join? Members have access in the annual Schmooze conference and the IJPA website to facilitate bookings, expand your marketing reach, collaborate and innovate. Above all, you become part of a worldwide community. By all accounts, Jewish culture, in all its wonderful diversity, is thriving. And now, more than ever, we need to keep us all—artists, presenters and funders—connected. Praised by the New York Times for his "Exquisitely sensitive playing" and doing "everything you never dreamt a mandolin could do… truly breathtaking in virtuosity and dedication" (Haaretz Daily), Avital’s commitment to expanding the horizon of the mandolin and bringing it to new audiences, and his curiosity and engagement with all aspects and genres of music, has made him one of the most creative and versatile young musicians today. Born in Israel in 1978, Avi Avital has performed widely in Israel, Europe, the US, and Asia. This season, he makes classical appearances in Italy, Germany, and the US, including recent concerts at Zankel Hall with Sir Simon Rattle and the Ensemble ACJW, the Chamber Music Society of Lincoln Center at Alice Tully Hall, and the San Francisco Chamber Orchestra. He has played with leading orchestras including the Israeli Philharmonic Orchestra, I Pomeriggi Musicali di Milano, Rostov State Theatre Orchestra in Russia, The National Symphony of Latvia, Metropolis Ensemble New York, Israel Camerata Jerusalem, and Orchestra Milano Classica, collaborating with prominent musicians including, Mstislav Rostropovich, soprano Dawn Upshaw, and others. Since 2004, he has also performed regularly with the renowned clarinetist and klezmer specialist Giora Feidman, with whom he appeared at International Youth Day in Köln in the presence of Pope Benedict XVI. He appears on recordings of both classical and klezmer albums for labels such as SONY Classical, Deutsche Grammophon, Naxos, Albany Records, Mode Records NY, and La Discantica. Avi Avital received the German ECHO prize for his recording with David Orlowsky's Klezmorim, released by SONY Classical. He was also awarded the prestigious Doris and Mori Arkin Prize for Mandolin at the 2007 Aviv Competitions. More samples of Mr. Avital’s artistry are available on his website. Avi Avital is a graduate of the Jerusalem Music Academy and Conservatorio Cesare Pollini of Padova, Italy. Are you ready to write your own bad liner note? Zeek is holding a contest. The best worst klezmer liner note—as judged by Zeek Editor-in-chief Jo Ellen Green Kaiser and Bert Stratton (a.k.a. Klezmer Guy)—wins a One Ring Zero’s new Planets cd. Just submit your line in the comment section below. We’ll email you if you win, and fb it out to all our fans! This rather delightful concert by Rhode Island veteran Fishel Bresler may have slipped through the cracks. On a day when just about nothing is open, and there is nothing to eat but Chinese Food (and many of us fulfilled that mitzvah last night already), check it out. If you are instead, in NYC, don't forget to check out Tzadik's "Radical Jewish Music Fest; in Chicago it's Jewmongous. Enjoy. I can't remember when I last mentioned this, but each week Bert Stratton, of the delightful (and, when the occasion demands, delightfully wacky) Yiddishe Cup posts about his experiences as a landlord and bandleader (roles not always as different as one might think) in Cleveland. Some weeks I'm too busy. But, it's a blog, so it's easy to catch up later. It's always worth catching up. I sign up for the email notices so I won't miss them on the weeks when I can't be bothered with news feeds. This week he explains why Cleveland is not a cupcake town. Read on. "Kesselgarden continues to thrive in the miserable weather one finds in the early Seattle winter. 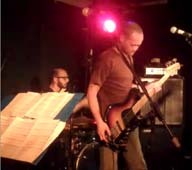 Here is a clip from a recent rehearsal, just to show that only two old guys can still put on a hell of a show. Hope all is well and peace in 2011." Talking to the bandleader, Igor Krutogolov, on a quiet afternoon in Tel Aviv we reviewed influences (okay, Zorn and Frith are obvious; others include the UK band, the Cardiacs, and ZU from Italy) and talked about the frustration of being a niche band in a tiny country. There is no place local to tour—there aren't enough local people interested in avant garde jazz to sustain anything beyond the occasional concert in Tel Aviv. They have been to several festivals in Europe, and periodically consider moving the band there. Krutogolov talks mostly of the music as personal expression. It has precision; he often compared what he is doing to classical music, and indeed, as I stood opposite the band's newest member, accordionist Boris Martzinovsky in concert, I noted complex charts spread across a large music stand. The band is also very, very tight. Mark Rubin's video of "The Other Europeans"
Mark Rubin has posted a passel of videos from the last three years of "The Other Europeans"
"Here's a collection of videos of the "Other Europeans" project which took up a big chunk of my last 3 summers. Watching these videos, I can hardly believe I was actually there when this all happened." View the whole series of several concerts on his blog, Chasing the Fat Man.